LOCATION This charming period cottage is set within a highly convenient position in the heart of Horsham’s thriving town centre. Horsham town centre offers a varied selection of independent and national retailers, together with a busy cafe culture and interesting range of restaurants, in addition to a mainline station that has direct access to London Victoria and London Bridge. Major road networks can be found nearby and include the A281 and A264 which gives access to M23 and M25. PROPERTY With an off street parking space accessed via Wellington Road, the current owners regularly use the back door, which opens into the Dining Room. This provides the ideal space to entertain as it is next to the Kitchen, and has plenty of space for a table. The Kitchen has space for a range of appliances (current appliances negotiable), and leads through to a Shower/Utility Room. Completing the ground floor layout is the recently redecorated Living Room, which overlooks the well kept garden. 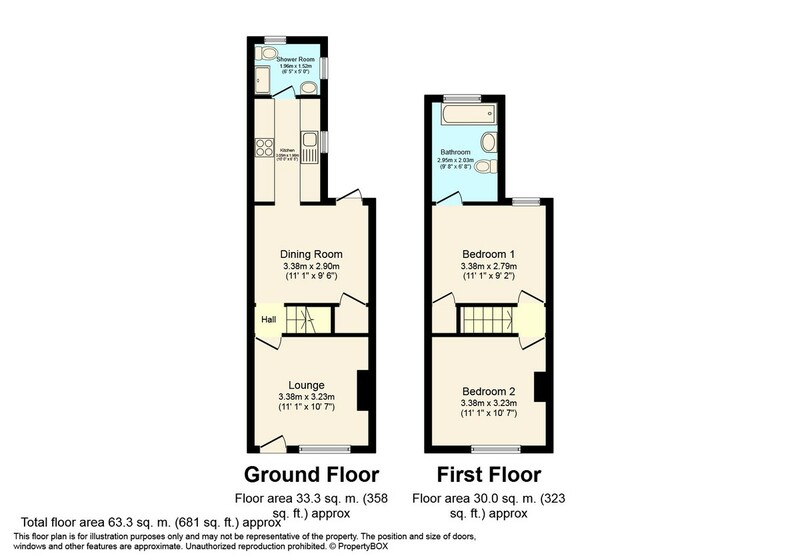 To the first floor you will find two double Bedrooms, and an En Suite Bathroom, which has an attractive white suite, with a shower above the bath. We believe there is fantastic potential (stpp) to either extend the Kitchen or convert the loft, like neighbouring properties. OUTSIDE This attractive cottage can be accessed by foot along Park Terrace West, or by car in Wellington Road, with double gates opening to reveal an off street parking space. When not used for parking, the current owners use this as a private terrace, which also houses a shed. The well kept garden consists of a gravel patio, perfect for barbecues in the summer months, which leads on to an area of well kept lawn, with attractive borders.